With all the excitement of many more Chromebooks getting access to Android Apps this week in the Dev Channel (version 56), we have quite a few Chromebooks around the office in the Dev Channel now. Though our move to Dev on these devices was mainly to see if Android Apps were present, we were met with a nice, shiny new surprise. And we wanted to share it. The shelf in Chrome OS is the spot along the bottom where you can pin your favorite, most-used apps. Additionally, along the right side you have a notifications area and settings menu. All of this has been redesigned in Chrome OS 56 and you can take it for a spin by simply changing over to the Dev Channel of Chrome OS. First, go to Settings > About Chrome OS > More Info > Change Channel > Dev Channel. As it states, Dev can be buggy and unstable for daily use. However, the current version has been quite good for me and I’ve left the ASUS C301SA I’m currently reviewing in the Dev Channel since last week. This change will also perform a basic Power Wash, so you’ll lose anything you have locally stored. First up we have the removal of the white bars beneath your active apps in the shelf. In their place, we now have a simple dot to designate an active app. To the right, the clock and notifications areas are totally redesigned, giving us a cleaner font and overall feel. Gone are the gradient boxes and they’ve been replaced by flat, simple backgrounds. Additionally, when in full screen mode with any open window, we are met with the same black bar across the shelf, but the notifications and clock are simply fonts on that same black background, separated by a clean thin line. I personally love the look and this design change has kept me in Dev longer than I planned. When you click the clock area, you are met with the quick-settings menu. This has been totally overhauled as well. Most of the same elements are present, they just have new icons, a cleaner layout, and nice material design flourishes. Additionally, when you drill down into any one setting (like Wifi), you are met with clearer on/off, settings, and navigation controls. Forgive the pics, but I couldn’t get screen captures during initial log in and setup for obvious reasons. It looks like the new splash screens you see during initial setup have been given a facelift as well. Nothing has changed functionally here, but the look matches the fresh design Chrome OS is getting right now. Added to the mix, but not yet implemented out of the box is the Material Design settings menu. This has been around for a bit and is available across all channels, but it seemed fitting to give it another mention here. 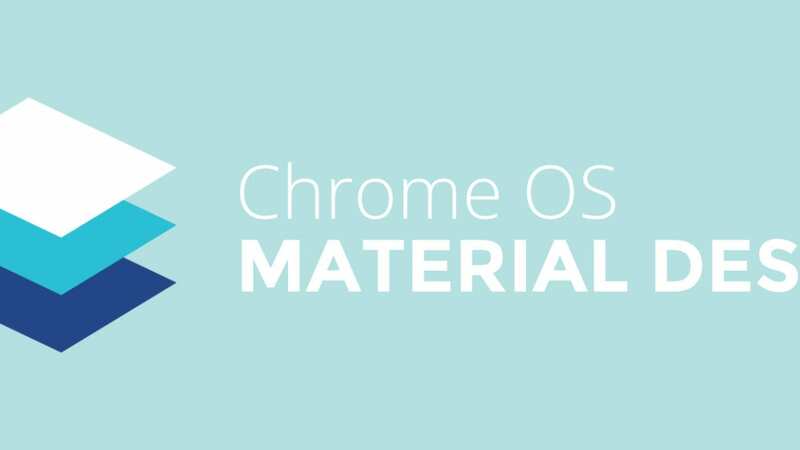 To access the Material Design settings page, just type chrome://md-settings into the omnibar. The point that this settings menu gets the full integration we see coming, almost all of the material design elements in Chrome OS will be complete. What do you think of the changes? We are loving them, but we know not everyone likes change. Chrome OS, after these changes, should feel more cohesive and clean moving forward into the age of Chrome OS and Android living in harmony on Chromebooks.